Starting Friday- Pictures in the Park at Dilworth Park! It’s a bunch of your favorite movies made even better—with beers, seasonal cocktails, and all your friends. And there’s no better way to spend a Friday night than watching a movie al fresco at Dilworth. Be sure to bring your own blanket or chair! Films begin at 8:30. Powered by Live Nation. Unwind with friends and begin the weekend with the Wine Garden at Collins Park, every Friday, 4-9pm (6-9pm on July 21). 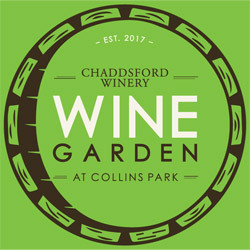 Enjoy Chaddsford Winery wine and hard cider (by the glass or bottle) in one of Center City’s most picturesque parks. Proceeds help support the Center City District Foundation, which owns and maintains the park for public enjoyment. Tickets now on Sale- Best of Philly® Soirée in Dilworth Park! Join Philadelphia magazine in the heart of Philadelphia on August 3 for an evening of award-winning food, summer cocktails and dancing under the stars in celebration of this year's Best of Philly® winners. Guests can taste food from the city’s best restaurants, enjoy live entertainment, and take part in some of the best that the city has to offer. While there, be sure to stop by the Center City District Foundation's table. The Foundation is holding a silent auction and raffle, the proceeds of which will support the next generation of public space improvements. For a sneak-peek at some of the popular auction items, visit SupportCCDF.org. Best of Philly Tickets: General admission, $99 (for entrance at 6:30pm); VIP, $165 (entrance at 5:30pm). $80 general admission tickets are available when purchased for groups of five or more. For more information and to purchase tickets, visit BestOfPhilly.com. Philadelphia's center stage shines 12-1:30pm every Wednesday afternoon with PNC presents Live @ Lunch, a showcase of local music. There are only two more left in the summer series, but it'll be back this fall! Hats in the Belfry is excited to announce the opening of its brand new store, located at 1824 Chestnut Street, in Rittenhouse Row. Filled with a complete selection of fashionable hats and accessories, this new location offers a remarkable shopping experience that will delight all who visit. Please stop by for the ultimate in personal customer service and an unparalleled selection of hats for every occasion. Go Ahead and Scream for Ice Cream! Reading Terminal Market's new ice cream festival celebrates Philadelphia's rich ice cream heritage, July 29, 10am-4pm! The Philly Ice Cream Scoop will bring some of the city's best ice cream and frozen dessert artisans to the Market's center court, and more than 15 of the Market's vendors will be offering ice cream specials from their stands. Ice cream eating contests, a talk on the history of ice cream, and arts and crafts round out the event. What a deliciously decadent way to beat the heat! Nature in the Park - July 20; August 3, 17 & 31, 10:30am; Fun-filled science activities from The Academy of Natural Sciences of Drexel University.